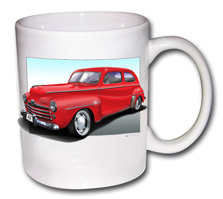 The 1947/8 Ford Sedan was similar to the earlier models, 1942 onwards, but with minor trim changes. The 1948 model was the last of these styles before giving way to the all new range mid way through that year. The Ford Flathead V8 was used.